On the 1st (Mon), hike along Salt Creek Interpretive Trail. To find maps, traveler tips, more things to do, and more tourist information, refer to the Death Valley National Park itinerary planning website . Los Angeles to Death Valley National Park is an approximately 4.5-hour car ride. You can also do a combination of train, bus, and car; or do a combination of flight, bus, and taxi. Traveling from Los Angeles in July, things will get a bit warmer in Death Valley National Park: highs are around 101°F and lows about 73°F. Wrap up your sightseeing by early afternoon on the 2nd (Tue) to allow enough time to drive to Sequoia and Kings Canyon National Park. On the 3rd (Wed), hike along Mount Whitney Trail, take in the dramatic scenery at Roaring River Falls, and then stroll through Zumwalt Meadow Trail. Get ready for a full day of sightseeing on the 4th (Thu): take in the dramatic scenery at Grizzly Falls and then look for all kinds of wild species at Project Survival's Cat Haven. To see maps, where to stay, other places to visit, and other tourist information, you can read our Sequoia and Kings Canyon National Park travel route planner . Drive from Death Valley National Park to Sequoia and Kings Canyon National Park in 7 hours. Traveling from Death Valley National Park in July, plan for a bit cooler nights in Sequoia and Kings Canyon National Park, with lows around 66°F. Wrap up your sightseeing by early afternoon on the 4th (Thu) to allow enough time to drive to Yosemite National Park. 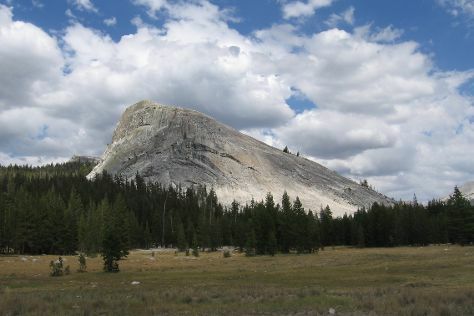 On the 5th (Fri), tour the pleasant surroundings at Lower Yosemite Fall Trail, then make a trip to Valley View, then identify plant and animal life at Nature Center at Happy Isles, and finally explore the striking landscape at Glacier Point. On the next day, make a trip to Pothole Dome, then take in the dramatic natural features at Lembert Dome, then take in the awesome beauty at Cathedral Beach Picnic Area, and finally hike along Four Mile Trail. For other places to visit, where to stay, maps, and tourist information, use the Yosemite National Park online visit planner . You can drive from Sequoia and Kings Canyon National Park to Yosemite National Park in 5 hours. Expect slightly colder weather when traveling from Sequoia and Kings Canyon National Park in July: highs in Yosemite National Park hover around 83°F, while lows dip to 46°F. Finish your sightseeing early on the 6th (Sat) so you can drive to San Francisco. Kick off your visit on the 7th (Sun): enjoy the sand and surf at Rockaway Beach, kick back and relax at Fitzgerald J V Marine Reserve, and then enjoy the sand and surf at Half Moon Bay State Beach. On your second day here, tour the pleasant surroundings at Baker Beach, then kick back and relax at Fort Funston National Park, and then hike along Mori Point. Getting from Yosemite National Park to San Francisco by car takes about 4 hours. Other options: take a bus; or do a combination of taxi, bus, flight, and subway. When traveling from Yosemite National Park in July, plan for slightly colder days in San Francisco, with highs around 73°F, while nights are somewhat warmer with lows around 57°F. Wrap up your sightseeing on the 9th (Tue) early enough to drive to Big Sur. Start off your visit on the 9th (Tue): enjoy the sea views from Point Sur State Historic Park, then tee off at Spyglass Hill Golf Course, and then do a tasting at Folktale Winery & Vineyard. 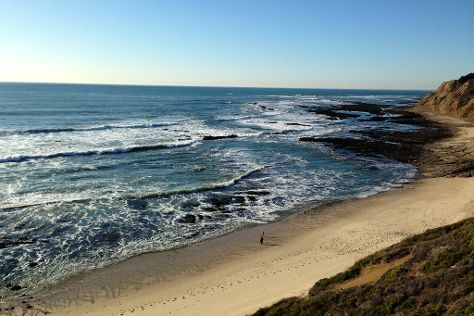 Keep things going the next day: enjoy the sand and surf at Marina State Beach, look for all kinds of wild species at Elkhorn Slough National Estuarine Research Reserve, and then learn about winemaking at Holman Ranch. To find ratings, reviews, more things to do, and tourist information, read Big Sur trip itinerary builder app . Traveling by car from San Francisco to Big Sur takes 3 hours. Alternatively, you can do a combination of flight and taxi; or do a combination of train and taxi. In July in Big Sur, expect temperatures between 69°F during the day and 55°F at night. Wrap up your sightseeing by early afternoon on the 11th (Thu) to allow enough time to travel to Los Angeles. Kick off your visit on the 12th (Fri): take your sightseeing to a higher altitude at Santa Monica Mountains and then stroll through Manhattan Beach. Get ready for a full day of sightseeing on the next day: kick back and relax at El Matador State Beach and then enjoy the sand and surf at Zuma Beach. To see traveler tips, maps, more things to do, and more tourist information, you can read our Los Angeles trip maker . Traveling by combination of taxi and flight from Big Sur to Los Angeles takes 4 hours. Alternatively, you can drive; or do a combination of taxi and train. Plan for somewhat warmer temperatures traveling from Big Sur in July, with highs in Los Angeles at 83°F and lows at 66°F. Wrap up your sightseeing by early afternoon on the 14th (Sun) to allow enough time to travel back home.